Pictured in the photo from left to right are: Usha Panicker, Vectar OnSite CPAs and Chamber Ambassador; Renea Salyer Member Relations Coordinator Warsaw Kosciusko County Chamber of Commerce; Suzanne Kessler, Business Manager Grace Brethren Investment Foundation (GBIF); Carol Soto, Customer Service Rep. GBIF; Cindy Bushen, Bookkeeper GBIF; Linda Leonard, Coordinator of Administration GBIF; Ryan Bowell, Director of Credit Services GBIF; Brenda Byers, Director of Finance GBIF; Ken Seyfert, President & CEO GBIF; Becky Plummer, Staffmark and Chamber Ambassador; Jan Orban, Brian Peterson Group and Chamber Board Member; Mark Dobson IOM, President & CEO Warsaw Kosciusko County Chamber of Commerce; Greg Binkerd, Mutual Bank and Chamber Ambassador; and Jenna Secrist, Vectar OnSite CPAs and Chamber Ambassador. 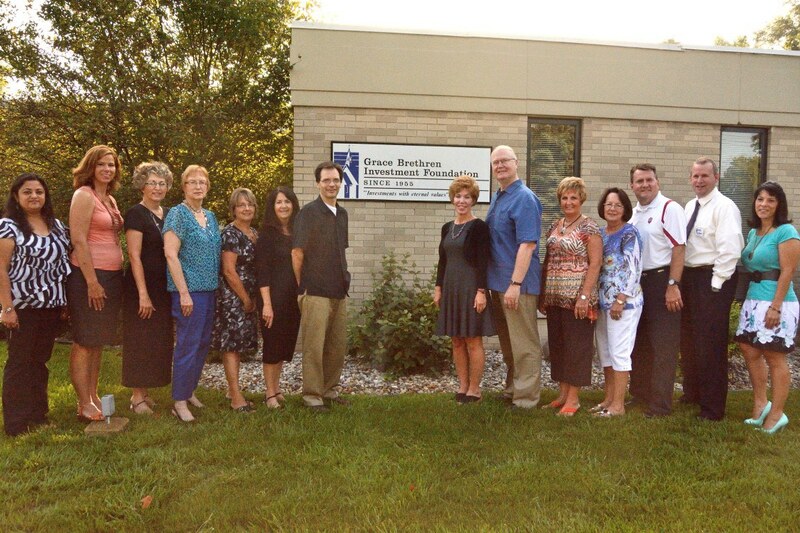 The Grace Brethren Investment Foundation, Winona Lake, Ind., has been named the September Member of the Month by the Warsaw/Kosciusko County Chamber of Commerce. Grace Brethren Investment Foundation (GBIF) is located at 1401 Kings Highway in Winona Lake. This location serves as national headquarters for the non-profit foundation which specializes in providing financing for the construction of church and school facilities that are associated with the Fellowship of Grace Brethren churches throughout North America.